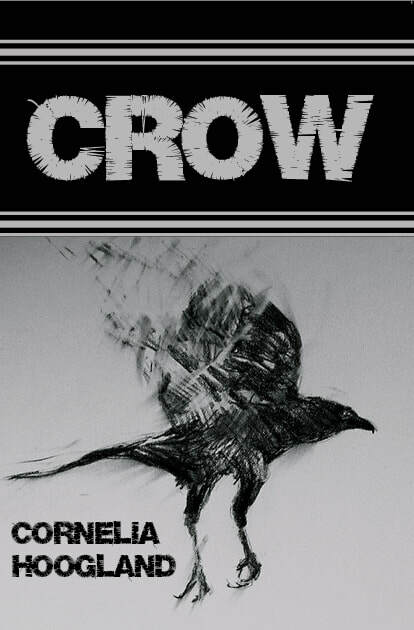 ​Her familiar is crow. Watch him peril the backyard, hustle the birds: who gets what/when at the feeder. In crow's shadow squirrel stops on a dime, splays his body against the tree, becomes bark. But when it comes to the dog, crow fluffs his throat feathers, tin-soldiers along the fence rail, caws for the beagle's attention. And his humour–his bald caw caw obscene as your mother's moans from the guest bedroom the night her boyfriend sleeps over.